Join us in honoring the many men and women who serve our country, protect our waters and defend our freedom to enjoy the on-the-water lifestyle. Get to know three water protectors a little bit better. 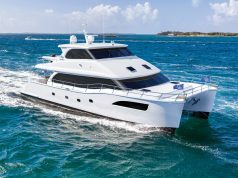 Targeting small vessels from foreign waters in a 39-foot Midnight Express with quad outboards is a daily task for Agent Ryan Haines. The AMO conducts its mission in the air and maritime environments at and beyond the border, and within the nation’s interior. 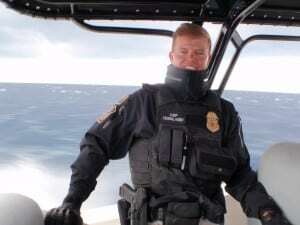 Based in Fort Lauderdale, Florida, the 39-year-old and his unit stop vessels that bring people, contraband and other goods into the country illegally. “We use various tactics to facilitate compliance. 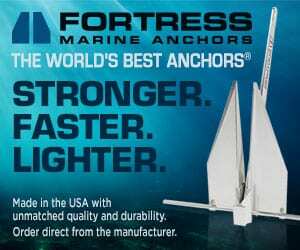 If sirens alone don’t work to pull over the vessel, then we fire warning shots to gain control of the boat,” he says. One of his duties with the AMO is to take human smugglers into custody. He recalls several incidents when the agents boarded a boat they’d pulled over and found migrants on board who were scared, yet relieved to see them. “They didn’t have life jackets. And they were very happy to be rescued,” he says. Ensign Nikki Barnes grew up in St. Thomas, U.S.V.I., and started sailing at age six. “My brother was (into sailing), so I started to race because I wanted to be the girl that beat the boys,” she says. A branch of the U.S. Armed Forces under the U.S. Department of Homeland Security, the USCG is a maritime military service whose mission is to enforce marine laws and safety at ports and waterways, in addition to conducting search and rescue operations in the water and aiding navigation. 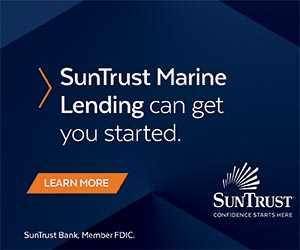 Barnes graduated from the U.S. Coast Guard Academy in New London, Connecticut, in May 2017, and received her commission from President Donald Trump. For the next three years, the ensign will be at the USCG’s Sector Miami working for the Incident Management Division in Response. 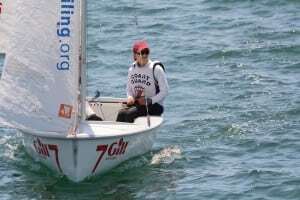 Still a sailor at heart, she recently competed in the College Women Sailing Nationals in Charleston, South Carolina, where she and the USCG team finished in third place. For the third consecutive year, she was named All-American Women’s Skipper. As for the future, there’s no stopping her. Barnes hopes to go for the gold and race in the 470 class at the 2020 Olympics. “I couldn’t be more excited to get started,” she says enthusiastically. Born and raised in Miami, Florida, Deputy Hector Rodriguez started his career with the Broward County Sheriff’s Office (BSO) in 1995 stationed on the road with law enforcement. 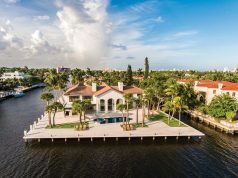 The Marine Patrol Unit patrols Broward County’s coastline, inland waterways and the Everglades. It enforces marine laws such as observing speed zones, investigates boating accidents and related crime scenes, and educates the approximately 43,000 registered boat operators in the county on boating safety and use of their vessels. 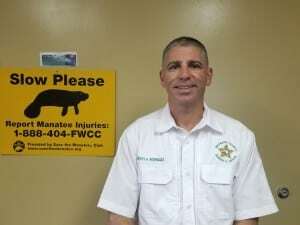 While protecting boaters is the main focus, Rodriguez says the unit also safeguards wildlife and is involved in promoting the Florida Fish and Wildlife’s Manatee Conservation Program. 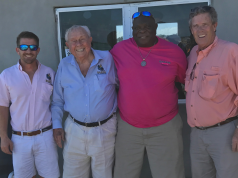 “Boaters need to realize that a current in the waterway could be created by a manatee’s tail and the animal could be harmed,” he adds. Even off duty, Rodriguez enjoys recreational water activities and is still an active diver. A big thank you to all our water protectors!